MTV debuted the prints above, and they'll both go on sale sometime tomorrow. 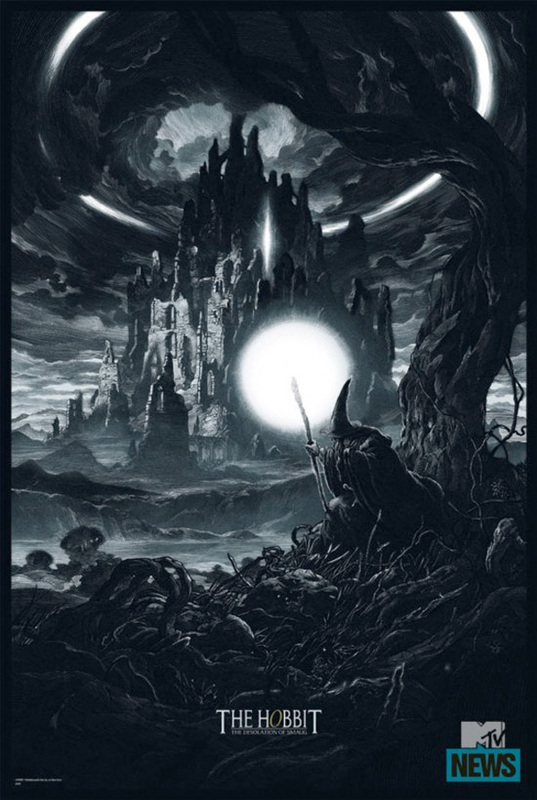 Ken Taylor's top print has an edition of 325 and will cost you $50 while Nicolas Delort's bottom piece will have an edition of 300 and will cost you $45. In addition, Delort's piece will have a variant (see it over at MTV) that will have an edition of 125 and will cost a little more at $65. 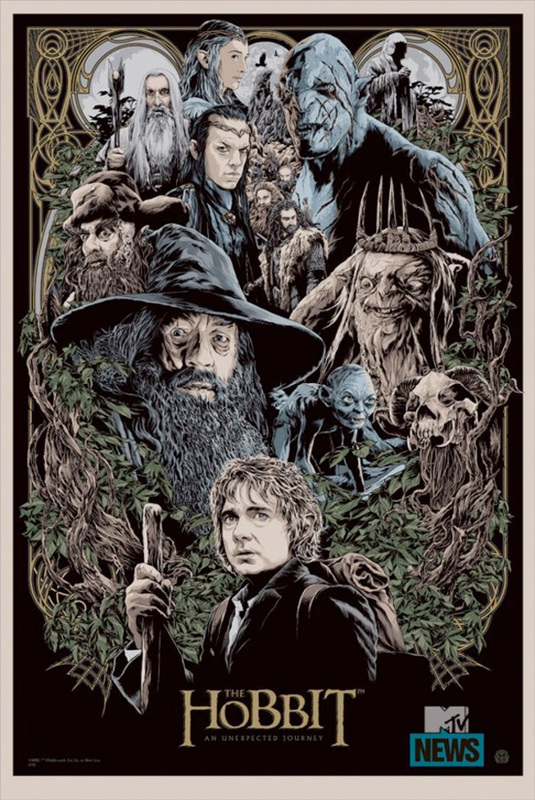 As for the Fellowship of the Ring piece, it has an edition of 606 and will cost $100. As always, stay tuned to @MondoNews on Twitter to see when to try to get ahold of one. Fellowship is my favourite of the series, but that poster is crazy. Spectacular but pretty crazy. Might get the Smaug one though. They nailed Gandalf's eyes in the first one. Cool.